Save some time and have these forms filled out before your first appointment. Our paperwork will ask some basic questions about yourself, insurance information, present condition as well as other pertinent information we will need. *Requires Adobe Reader®. Visit the Adobe® website to download the free program if not already installed on your computer. 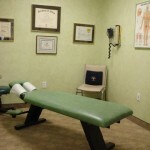 After you have downloaded the initial paperwork or filled it out in our office we (Dr. Campbell or Dr. Sudnykovych) will sit down with you to discuss what brought you into our clinic. We will ask many questions during our examination, such as “When did you first notice the problem?”, and “What makes it worse or better?”. Next, we will do a number of specialized orthopedic and neurologic tests which is essentially a fact-finding mission by us to ascertain which tissues are involved. After all, pain can come from muscles, joints, ligaments, nerves, etc. Determining the source of the problem helps us to develop a diagnosis and plan of treatment. It is also an opportunity for you to ask questions and discuss any concerns you may have. After the exam, x-rays are taken, when needed, to provide us with a picture of your spine, joints, and even limited soft tissue structure. X-rays can be VERY valuable to us in that they are provided with a clear picture of your posture, misaligned vertebrae, overlaying degeneration in the joints or spine, and sometimes organic or soft tissue problems. After all, a more accurate diagnosis provides for more accurate treatment, and accurate treatment leads to a more positive outcome for you. We will review the x-rays and exam and give you a full report of findings on the same day. We will also provide you with certain home activities or instructions to be utilized in your home environment. This may include avoiding certain exercises, how to use ice or heat, avoiding certain positions, as well as home exercises and/or stretches. 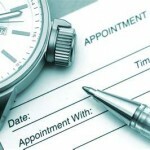 Scheduling your appointments has never been easier. 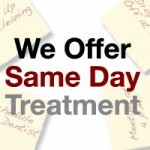 We offer online scheduling as well as receiving your appointment by text messages or email. This options allows us to send you appointment reminders which you can confirm or cancel. Our email and text reminders is an opt-in method and you must accept before using.